Pro-Networks provides unrivalled, proactive IT support to our customers and we need a multi-skilled and talented team of people to help us keep up the good work. We are always interested to hear from skilled, customer focused engineers. If you have the skills, a commitment to learning and development and want to be surrounded by a friendly and trustworthy team of professionals who are passionate about what we do, we would be delighted to hear from you. The following roles reflect our primary roles. If we have vacanacies you will see a status of "Open for applications" associated with each role. You are still able to click through for a full description of the role and you are still welcome to submit your CV, which we keep on file and contact you if a suitable vacancy arises. 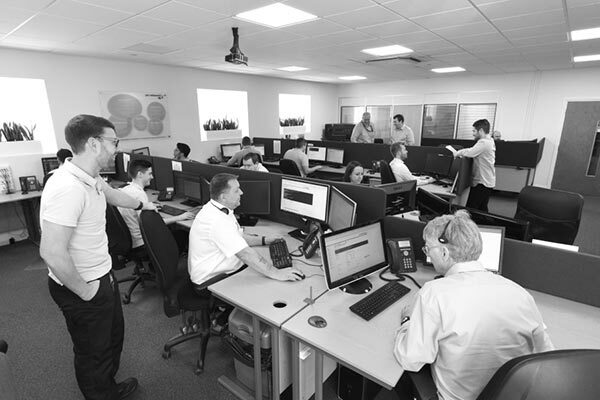 We are regularly looking for experienced 3rd Line IT engineers to join our Support Team, providing support both remotely and at our customers’ premises. This is a challenging but rewarding role. We are regularly looking for experienced 1st Line IT engineers to join our Support Team, providing support both remotely and at our customers’ premises. This is a challenging but rewarding role. We are regularly seeking experienced 2nd Line IT engineers to join our Support Team, providing support both remotely and at our customers’ premises. This is a challenging but rewarding role. Have interest in learning about current/new/future technologies to help the Company, customers, themselves and their team. Be able to take ownership of a task or project to see it through to completion and to exceed expectations whenever possible. Have a flair for problem solving. Be able to manage/prioritise their own work load so tasks can be completed to a customer’s satisfaction and meet Service Level Agreements where necessary. Use the following form to submit your CV to us. If you just have questions please use our site contact form. Please briefly summarise the role(s) you are interested in. You can also use this to ask us questions.